Heart failure does not mean the heart has stopped working; it means that the heart works less efficiently than normal because of various causes. Depending upon onset, it can be acute or chronic. Heart failure developing sudden in the patient with Myocardial Infarction is acute & Congestive heart failure (CHF) is a chronic. It is the leading cause of hospitalization & life-threatening at older age. 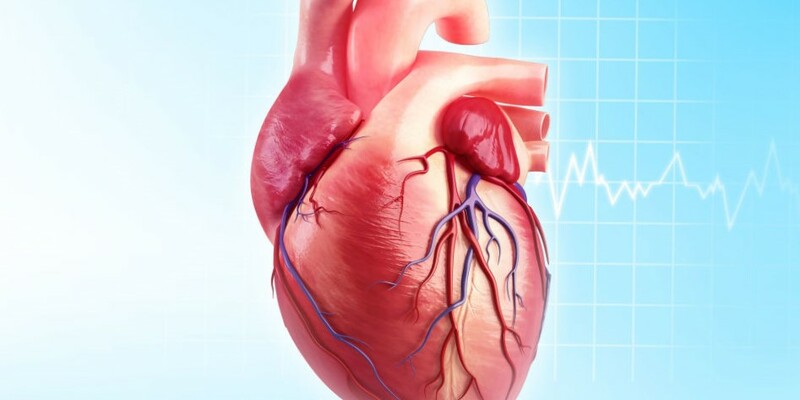 Heart failure effects on body blood circulation, due to various possible causes, blood moves through the heart to the body at a slower rate which causes increase in heart pressure. As a result, the heart cannot pump enough oxygen and nutrients to meet the body’s needs. 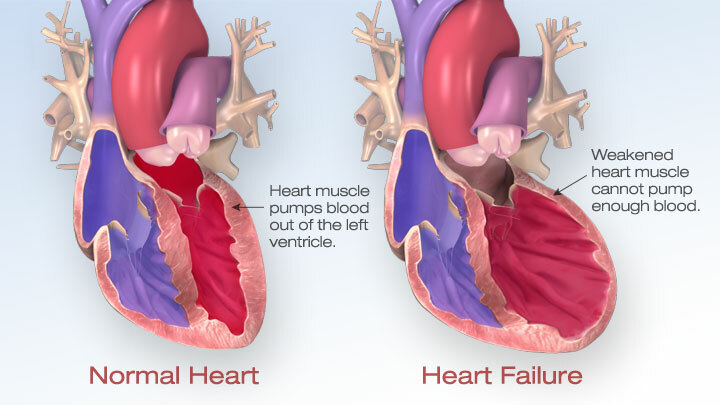 Congestive heart failure (CHF) specifically refers to the stage in which fluid builds up around the heart and causes it to pump inefficiently, also resulting fluid builds up in the arms, legs, feet, ankles, abdomen, lungs, other organs & the body becomes congested. Left-sided CHF is the most common type of CHF. It occurs when your left ventricle doesn’t properly pump blood out to your body. This area pumps oxygen-rich blood to the rest of your body. As the condition progresses, fluid can build up in your lungs, which makes breathing difficult. Systolic heart failure: It occurs when the left ventricle fails to contract normally. The heart can’t pump with enough force to push enough blood into circulation. Without this force, the heart can’t pump properly. Diastolic failure, or diastolic dysfunction: It happens when the muscle in the left ventricle loses its ability to relax normally becomes stiff. The heart can’t properly fill with blood during the resting period between each beat. Right-sided CHF occurs when right heart ventricle is responsible for pumping blood to your lungs to collect oxygen; heart can’t perform its job effectively. Blood backs up in your blood vessels, which causes fluid retention in the parts of the body. It’s possible to have left-sided and right-sided CHF at the same time. Usually, the disease starts in the left side and then travels to the right when left untreated. Hypertension: When your blood pressure is higher than normal, it may lead to cardiac problems as well as CHF. So maintain your proper blood pressure. Coronary artery disease & Arteriosclerosis: Cholesterol and other types of fatty substances can plaque in the blood vessels & block the coronary arteries, which are the small arteries that supply blood to the heart. Arteriosclerosis causes the arteries to become narrow, restrict the blood flow and it can lead to damage in of the arteries. Heart valve anomalies: Heart valves regulate blood flow through your heart by opening and closing to let blood in and out of the chambers. Valves that don’t open and close correctly may force your ventricles to work harder to pump blood. Other conditions: These include diabetes, obesity and thyroid disease etc. There are several things you can do to lower your risk of heart failure or may improve your health. Maintain a well-balanced diet: Take a healthy diet; eat vegetables, fruits, and whole grains. Dairy products should be low-fat or fat-free. Avoid more salt (sodium), added sugars, solid fats, and refined grains. 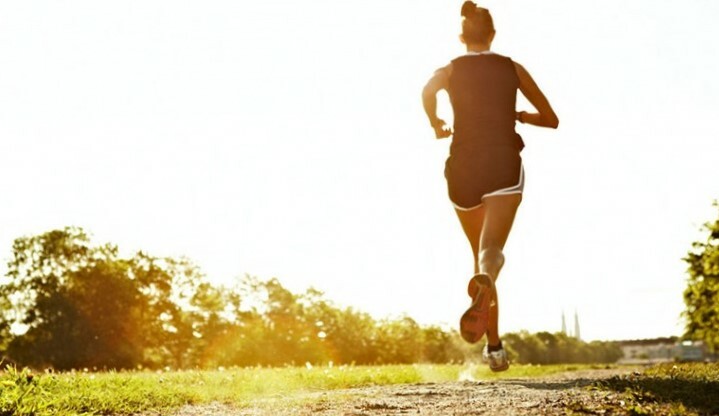 Exercise regularly, Walking, bicycling, and swimming is good forms of exercise. If you are suffering from high blood pressure, heart disease, or diabetes, take proper medicine & control it. Visit your doctor regularly to monitor your condition and report. Oral health can be an important key factor for your good health. In most of the cases the early stages of CHF, patients won’t likely to be notice. If the condition progresses, patient will experience gradual changes in his/her body. The proper check-up can be done a heart specialist, or cardiologist, he/she will perform a physical exam. To confirm an initial diagnosis, your cardiologist might order certain diagnostic tests to examine your heart’s valves, blood vessels, and chambers. The doctor can do different treatment; treatment plan will be depending upon your condition, don’t neglect it take proper doctor advice. Know about different treatment options for CHF. Medicines: Congestive heart failure drugs which including ACE inhibitors, diuretics, NSAIDs, Beta-Blockers etc. Surgeries: If medications aren’t effective on their own, more invasive procedures may be required. Angioplasty, a procedure to open up blocked arteries, is one option. Your cardiologist may also consider heart valve repair surgery to help your valves open and close properly.